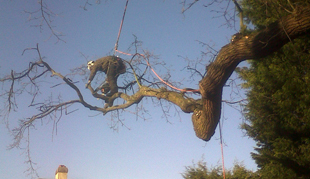 All Seasons Tree Surgeon are a professional tree surgeon and Arborist. Our goal is to provide a service that meets and often exceeds the highest standards available to both domestic and corporate clients in and around London. We offer services for those needing work on private and public gardens, whether it is for tree surgery, pruning, thinning, removing dangerous or dying trees or just site clearance. 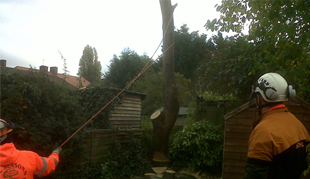 Due to only employing professional and qualified tree surgeons in London, we can guarantee the quality of our work. Our staff carry Qualifications in City & Guilds of Arboriculture and have all passed their NPTC certficates. We love climbing and are passionate about the environment so caring about trees is extremely important to us. 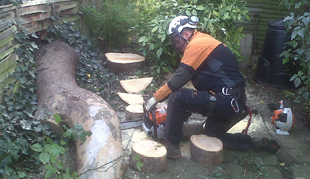 We want you to be happy with our tree services London so will talk to you about our plans before doing any work. We want to understand the needs you have and will offer our advice to make sure you gain the best possible service.